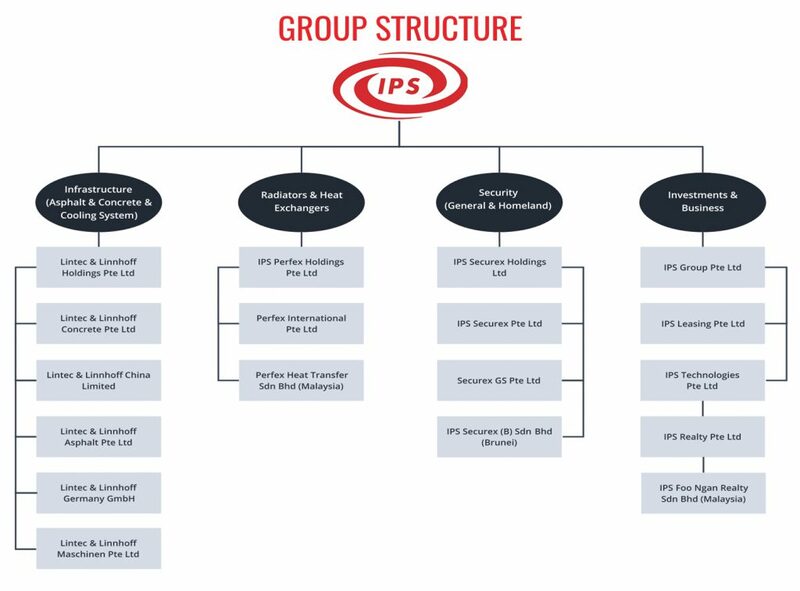 Formed in 1986, IPS Group of Companies has grown over the years to become a global player, with 17 companies now under its wings. With its HQ in Singapore, the Group has global offices in China (Jiangsu), Germany, Italy, Japan, Malaysia, Philippines, Thailand, and Vietnam. The Group specialises in design, manufacturing, and sales, with businesses across the 4 industries: Infrastructure (Asphalt Mixing and Concrete Batching Plants), Radiators and Heat Exchangers, Security (General and Homeland Security), and Investments.